ECOtality, operator of the BLINK charging network, is exploring restructuring or sale of the company, or else bankruptcy. Electric car charging station network operator ECOtality announced today they are looking into bankruptcy or a sale of the company. The move comes after the company failed to release a new charging station product, and amid declining income from administering the EV Project. 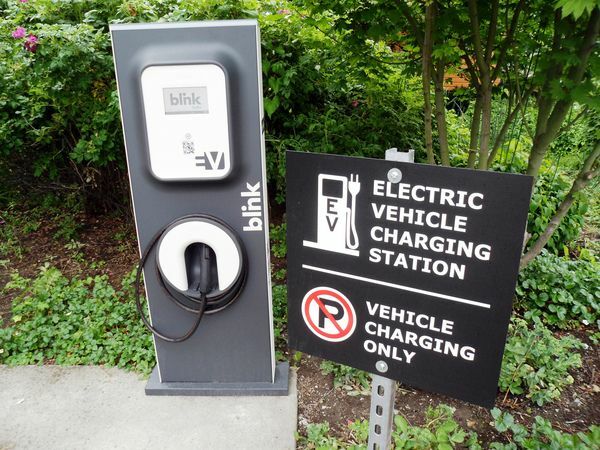 ECOtality had received $115 million in Dept of Energy funds to build the Blink electric car charging network, and provide subsidized charging stations to electric car owners since 2011. Federal funding of the project was meant to collect data about electric vehicle usage to aid policy makers in planning for larger scale rollout of electric vehicles. Failed at reorganizing company in face of declining revenue from EV Project: Company management tried to reorganize the sales force and efforts to sell charging stations directly, and to develop an independent dealer network to distribute its charging stations. However, this failed to come up with enough sales volume to support the company. Failed to introduce the Minit Charger industrial line: The Minit Charger 12 product exhibited unacceptable performance shortfalls during prototype verification testing, and therefore the company will be unable to bring this product to market during 2013. Failed to raise additional capital: On Aug 8, the company learned that additional financing being sought from an existing investor would not be forthcoming. ECOtality is attempting to raise more financing but is uncertain they can do so. Dept. of Energy suspended payments to ECOtality: In light of ECOtality's financial status, the Dept. of Energy has suspended payments to the company for the EV Project while the DOE "investigates the situation and determines whether the award should continue". Additionally the DOE has instructed ECOtality they are not authorized to incur any new costs under the EV Project, and that "the DOE would not reimburse the Company for such costs during the suspension". Payment of back wages to previous employees: ECOtality had let go of certain employees and contractors who have since won a $855,000 settlement through the Department of Labor under the Fair Labor Standards Act and the Davis-Bacon Act.